Public transport in India needs to be safe, accessible, and responsive to the distinct needs of women. Photo by Benoit Colin/EMBARQ. Men and women use public transport in different ways because of their distinct social roles and economic activities. Since women’s reasons for traveling generally differ from men’s, the purpose, frequency, and distance of their trips are also different. Additionally, safety and perceived social status play a complex role in shaping women’s transport behavior as they move between urban, suburban, and rural areas. Equitable access to public transport is about making the transport system work for women and meeting their need for safe, efficient, sustainable mobility. According to the UN, women often “chain” their activities by combining multiple stops and destinations within a single, longer trip as a result of their household and caretaking responsibilities. This makes it costlier for women to use public transport, since they may have to pay for numerous single-fare, one-way tickets throughout a chained trip. Additionally, women may be traveling with children, elderly parents, or groceries, adding complications and inconvenience if transport isn’t reliable, simple to use, or physically accommodating. Finally, transport routes beyond the central commuter corridors may not be in service during off-peak hours, when women are most likely to need public transport to access their social and economic networks. In many cases, women have more domestic responsibilities like taking care of children, running household errands, and maintaining familial and community ties. Public transport has the potential to make employment opportunities, healthcare resources, and education accessible to women. However, due to poor transport planning, women often do not have equal access to public transport, putting these resources out of reach and limiting financial autonomy. Furthermore, sexual harassment and violence in stations and vehicles remain persistent problems for cities around the world. When women continually feel unsafe and lack the ability to report incidents, public transport ceases to be an equitable and accessible form of mobility. Good design can go a long way in making public spaces more inclusive of women, but ensuring gender equity should also be a priority in the planning, procurement, operation, and evaluation of all modes of public transport. So how are cities changing to make safety and access a reality for women? London’s public transport operator, Transport for London (TfL) uses information technology to enhance women’s safety. For instance, the Technology Innovation Portal at TfL allows users to submit innovative technological ideas and solutions to meet key challenges, like women’s safety. In 2004, TfL created the Women’s Action Plan, which called for discounted fares as well as low-floor and step-free buses. TfL consulted 140 women’s advocacy groups in London and launched an annual Safer Travel at Night campaign in order to better understand their specific concerns. Today, TfL’s Women’s Action Plan and Gender Equality Scheme have been lauded by the Transportation Research Board as the most comprehensive efforts by transport operators to meet the distinct needs of women. Metropolitan Toronto Action Committee on Violence Against Women and Children (METRAC) is a collaborative relationship formed by various community-based women’s organizations, the Toronto Transit Commission, and the Toronto Police Department to conduct comprehensive safety audits of the city’s transport system. The partnership works to empower women in the community by developing research and policy recommendations based on its safety audits. Then, METRAC engages government actors to create safer neighborhoods, schools, campuses, workplaces, institutions and public spaces. In the past, METRAC has successfully delivered designated transport waiting areas, well-lit parking garages, assault prevention programs, and better safety policies and practices in hospitals and other workplaces. Jagori, an Indian NGO, addresses issues of women’s safety in Delhi by focusing on the right to participate in equitable, democratic, and inclusive city life, free from violence and fear. Jagori emphasizes the responsibility of local governance and urban planning circles to include women in their decision-making. Since its launch in 2004, Jagori’s Safe Delhi Campaign has conducted over 40 reviews with the help of the app Safetipin, which maps safety scores for public spaces and identifies ways areas of improvement that matter for women. During EMBARQ India’s Talking Transit Workship in Bhopal, participants discussed the importance of capacity building, public participation, and enforcement for improving women’s safety. Police, transport agencies, and advocacy organizations need to collaborate and coordinate with one another to reduce sexual harassment and violence in public transport, because individual and isolated initiatives—like CCTV cameras—are not enough on their own. Instead, transport agencies need to measure, plan, implement, monitor, evaluate, and share insights in order to make long-term progress and deliver concrete improvements. This requires clearly allocating responsibilities and identifying individuals so that ideas and initiatives are successfully implemented. Urban transport should equitably serve all city residents, regardless of gender. Women don’t have genuine access to transport if transport systems aren’t designed to meet their distinct mobility needs, and if public spaces aren’t safe or even perceived as safe. 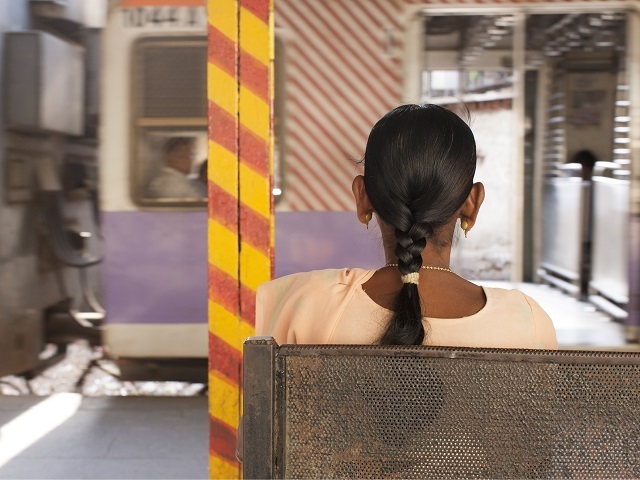 For truly sustainable, equitable cities, we need to make public transport work for women, too.